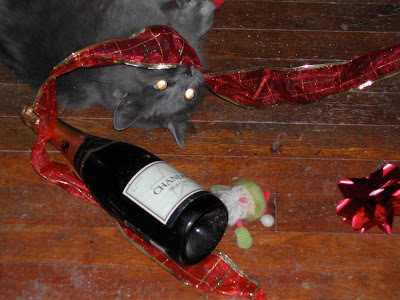 Clearly, Teddy is in the holiday spirit. Unfortunately for me, I had to wait several hours before the champagne was safe to open. My New Years Resolution should be refinishing my floors. Maybe next year!